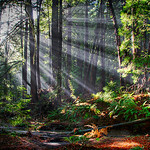 "Rays Through Redwoods" was captured earlier this year in Butano State Park near Pescadero, California. It was NOT the magic hour - quite the opposite! 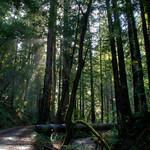 I captured this at 2 in the afternoon but with the fog beginning to lift, I noticed the sun streaming through the Redwoods creating those "God Beams" I love to chase! 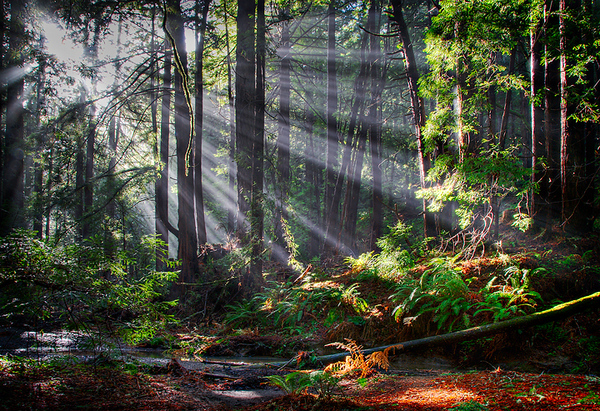 I found this little stream with the redwood bark laying around and capture multiple exposures that I blended together. As with all my favorite images, this is the place I want to be on a Friday afternoon.